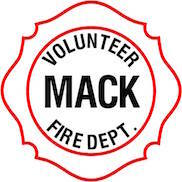 Members of Mack Fire, Inc. are interested in collecting pictures you may have of Mack Volunteer Fire Department stations, equipment, personnel, fire and emergency scenes, parades, etc. If you have anything that we can borrow to make a copy, it would be most appreciated. Anything sent to us will be returned postage paid. Also, if you have any personal stories you would like to share, please send them to us and we’ll publish them on this website. Of course, if you just have a question or comment, please send it in using our easy form below.